Telengana model school Selection List will be Available from 27-05-19 to Finalised by join collector on Telangana Model school Official Site and TSMS Certificate Verification will be held at all Model school from 28-05-19 to 30-05-19. 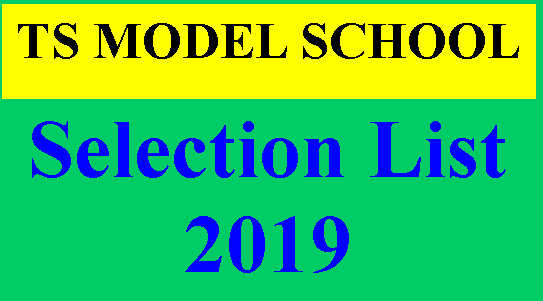 Telangana Model school (TSMS) Admission Schedule Released For the Academic Year 2019-20 For VI class an Left Over Vacancies in VII-X Class. And The Entrance Test Will Be held on 13-04-2019(2nd saturday) Timing of examination For VI class is 10.00 AM to 12.00 PM and For Class VII to X class is 02.00PM to 04.00PM. 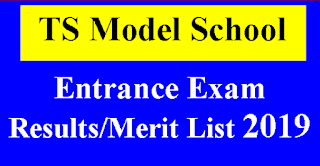 So You can Download TS Model School Entrance Exam Hall Tickets 2019 from 09-04-2019 to 12-04-2019. and Exam conducted on 13-04-2019.TS Model School Results/ Merit List with marks will be Available on 18-05-2019 on TS Model School Official Site and For Selection List candidates need to wait till 27-05-2019 to check their Results model school wise Pdf of TSMS Selection List. 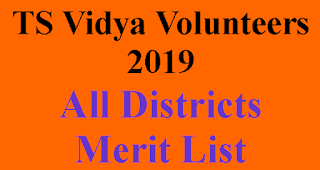 why because TSMS VI to X class Selection List Finalised by joint collector from 27-05-19. TSMS Certificate Verification will be held at all Model school from 28-05-19 to 30-05-19. Selection List can be downloaded online as per reference number allotted to the candidates (as per schedule indicated supra). Note: Selection List will not be dispatched by post and shall be downloaded from website.